The Persian Lime is a heavy bearer of juicy, lemon-sized fruit in winter to early spring.This lime variety needs little heat to ripen, making it an excellent choice for backyard plantings or as a container-grown plant. The limes turn to a pale yellow at full maturity, and have a thin, smooth rind. Persian Limes are cold hardy in USDA Growing Zones 9-11. It can be grown as a patio plant in all other growing zones! If you live in a cold climate, simply bring your tree inside during the winter. It produces abundantly indoors or out. Just place the tree in front of a sunny window and pick fresh fruit throughout the winter. 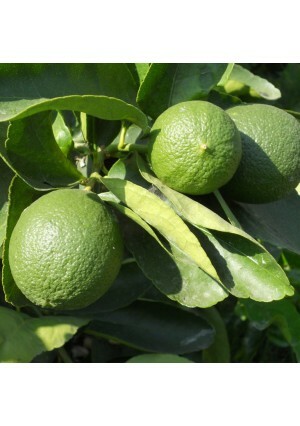 The Persian lime is also known as the Tahiti lime or Bearss lime. This citrus is fruit grown commercially in the U.S. and sold simply as a "lime".